about Chelsea. – on my way: make it someday. Let’s do this in chronological order. 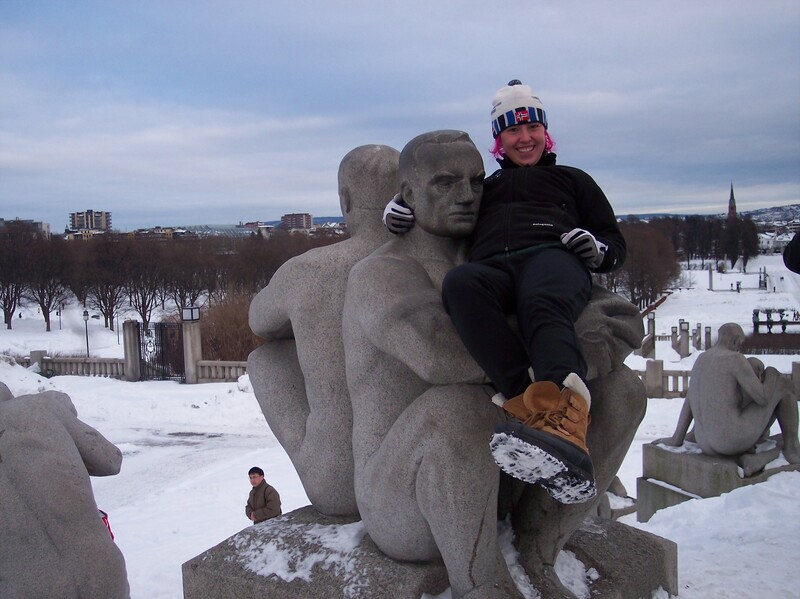 When I started this blog in the fall of 2008, I was a senior at Dartmouth College, where I was on the ski team. I had an idea: a lot of people are interested in college sports, but most of what they read in the newspaper is scores and stats, along with the occasional human interest story. But that doesn’t get at what it’s like to actually be a college athlete, or how those scores are achieved. I pitched the idea for a first-person column to the local newspaper, the Valley News, and they accepted. For a year, I wrote columns about my life as a student and skier, and about interesting things I saw happening around me. That’s why I started the blog in the first place. Most of my extended family did not live in the Upper Valley area, so this way they could read my columns. While at Dartmouth I majored in biology, with a focus in ecology. I wanted to salvage an English minor as well, but overlapping course schedules and practice times made it practically impossible. In May I finished my honors thesis based on research I conducted in the summer of 2008 on the effects of soil metals surrounding abandoned mines on plant-pollinator interactions (mouthful, I know). 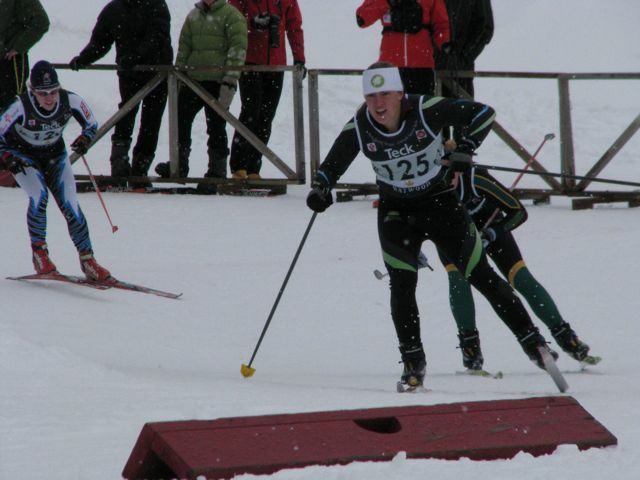 June 2009, I graduated from Dartmouth and joined the Craftsbury Green Racing Project, based out of the Craftsbury Outdoor Center in the Northeast Kingdom of Vermont. I was extremely lucky to have been offered the job. I trained more than I ever had in my life and when I wasn’t training, I worked on a variety of projects at the Center. I spent my time coaching little kids, maintaining the ski trails, preserving trail access, investigating the possibility of an area-wide trail system, the list goes on. I loved living in the Northeast Kingdom. But eventually I realized that being a full-time athlete was not for me. I wasn’t good enough, and I was interested in too many other things. After two years there, I decided to get back to science, first taking a temporary field assistant job in Florida and then a year-long salaried position at the University of Oregon. I decided to go back to graduate school so that I could have more input on the projects I was working on. I started with a masters degree through the Erasmus Mundus Master Programme in Evolution, thinking that would be my last degree (I remember celebrating after taking my “last ever” exam – ah, how naive). I’ve now started a PhD through the University of Zurich studying aquatic ecology at Eawag, the Swiss Federal Institute of Aquatic Science and Technology. You can find my professional website here. 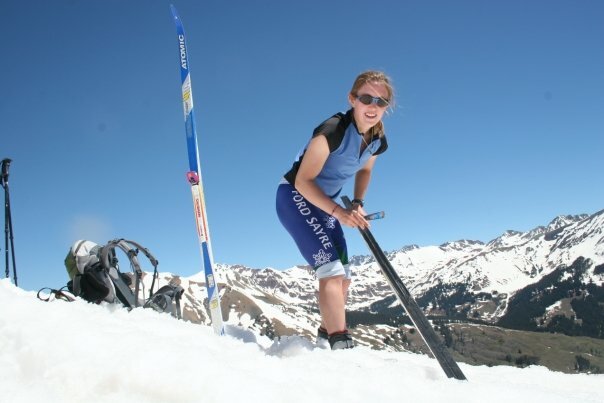 I still dabble in ski racing, mostly ski marathons, and I do a lot of hiking and running for fun. I also write for FasterSkier.com, where I am the Editor-At-Large and have developed an interest in writing commentary on sports governance. Hey Chelsea! This is great! I enjoyed reading all your stuff. I wish we could have visited you this summer. We all had pretty busy lives: I went to Ladakh, Mary went to Dominica, and Rosser stayed in Utah and held down the fort. It sounds like you have some interesting plans. I’ll look forward to following you vicariously. I want to be a 20-something again, now that I’d appreciate it more! I just wanted to let you know that I’ve really enjoyed reading your blog posts over the last year–somehow I came across your weekly blog/column during the winter, and I always found them to be very well-written and well-composed–as in, at the end, you always seemed to be able to bring things back around to where you started, in a good way. It was nice to get another perspective on EISA racing then, and it’s cool to hear about what you guys are doing up in Craftsbury now, although sometimes it really makes me wish that I still lived in Vermont. Keep up the good work! I like the roller/ski, recipe mix. Great how it seems to be prominently women blogging about rollerskiing. Rare in most sports! I Learned to ski back in the 60s in Bavaria at Berctesgarden. I remember it was beautiful.